Quick, easy access with our Zip Sided work boots. 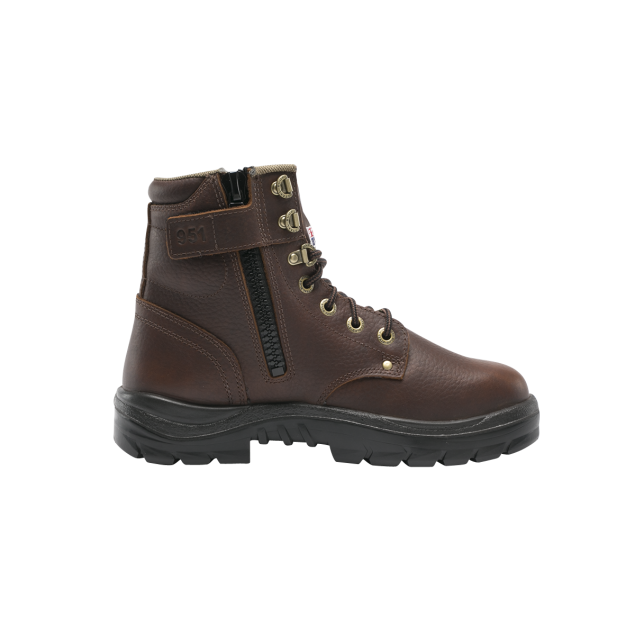 Designed for people on the go, Zip Sided boots are the most popular fastening choice. Over 10 years ago, we partnered with a premium zip manufacturer to specifically co-develop a robust, industrial strength zip for our safety footwear. 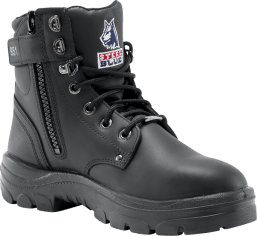 All Steel Blue zip boots are fitted with this custom designed industrial grade zip, which has been built to last. 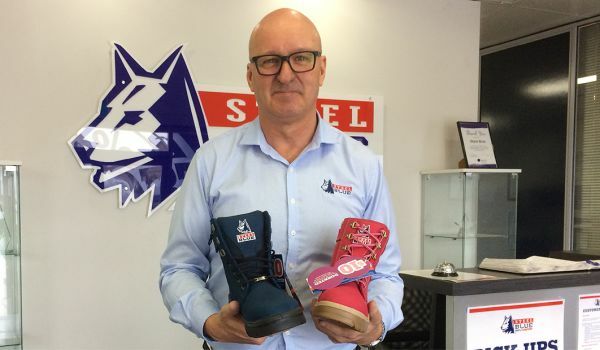 Zip fastening is now the fastest growing feature trend in our safety boots and is available in our range of Men’s 6 Inch Ankle boots, our Hiker style boots and range of Women’s work boots. Designed for people on the go, Zip Sided boots save valuable time in the morning, or when boots need to be removed in a hurry. 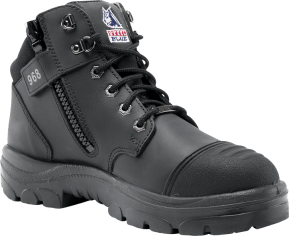 Our Zip Sided work boots can be laced up to offer a secure, comfortable fit, and the zips used for everyday convenience. The heavy-duty Velcro tab on our zip boots fastens the zip to keep it secure and rattle free. 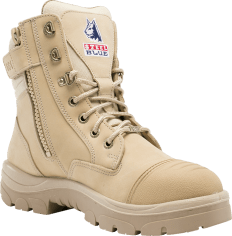 We understand that our boots endure tough conditions every day, which is why we recommend that they are fit-for-purpose. 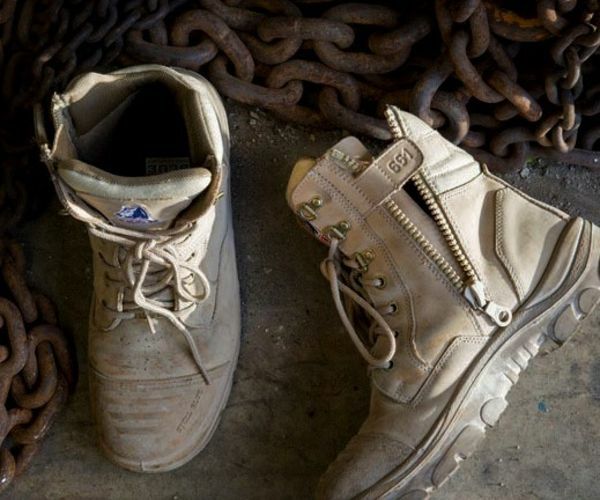 The custom made zips we use in our range of work boots are industrial grade, subjected to in-house testing from both suppliers and manufacturers, and are tested by a third party using SATRA test methods. Exceeding these tests demonstrates that our Zip Sided boots are engineered to handle the toughest conditions, however, it’s important that you adhere to the instructions provided in the packaging of your Steel Blue boots. Visit our Boot Care guide for tips on keeping your boots and our innovative boot technology features in top condition. 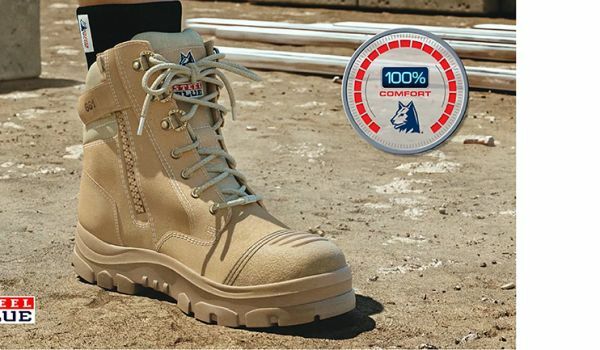 When you wear your Steel Blue safety boots, you know you are getting the best available technology that’s backed by our 100% Comfort Guarantee. 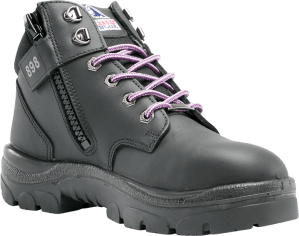 Further details on our boot fastening technology is available on our Fastening Technology page, alternatively, click through to view our Men’s Zip Boot range or Women’s Zip Sided Boots.